Ensuring you are getting enough protein in your diet is important for many reasons. Our bodies use protein for everything – healthy muscles, bone, skin, and blood cells. We don’t store protein in our bodies. This means if we are not consuming enough of it on a regular basis, there are no reserves to draw from. How much protein you personally need depends on many factors. These include your health, your age, your levels of physical activity and your muscle mass. 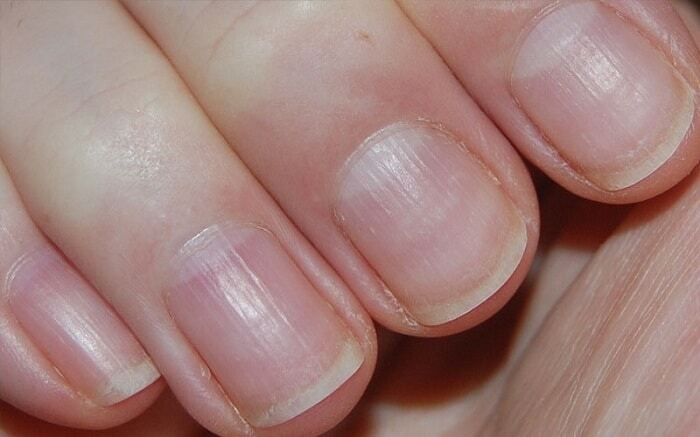 Nail growth and formation involve protein, so if you are deficient in it this can show on your finger and/or toenails. Signs may include the development of ridges, spots or bands on your nails, or they may become brittle and weak.